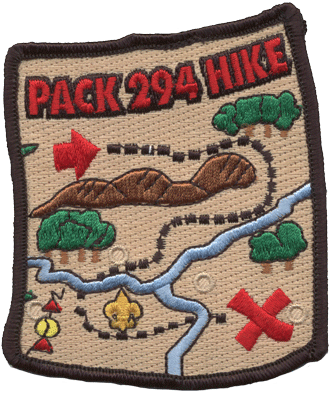 A patch earned in your Cub Scout Pack will be Treasured for a lifetime. 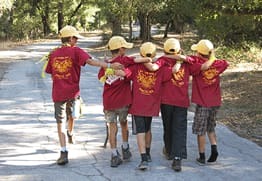 Build your Cub Scout’s Memory of Accomplishment! 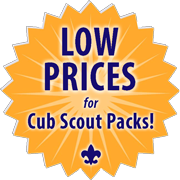 Looking for something easy to give to every Cub in your Pack? We make it easy for you to order custom pack patches that they will go crazy over! 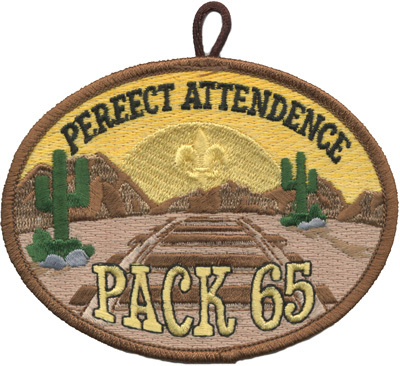 Hand every Cub Scout a memorable patch and watch the smiles appear! ClassB patches are always top notch! – that means including 100% embroidery, up to 9 thread colors, and choice of enhancements like button loops and border type! Button Loops are a FREE option. 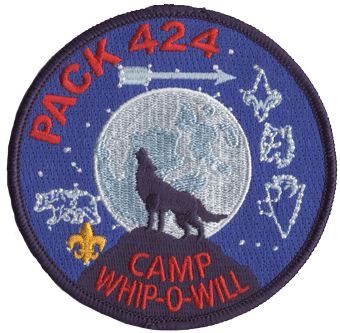 Button loops are great way for the scout to immediately show off the patch and there is no sewing required. 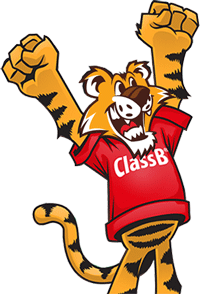 ClassB understands what makes a memorable patch! We start with 100% embroidery. Choosing the colors to balance the design. Knowing when to use the different stitch types. Structure the elements in a way to invite the viewer into a scene. Add in some gradients to give depth. 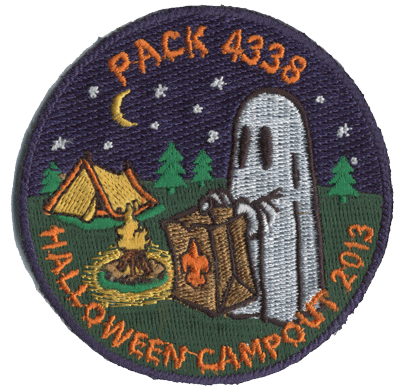 You have a patch that will ‘ooh and ahh’ your scouts! 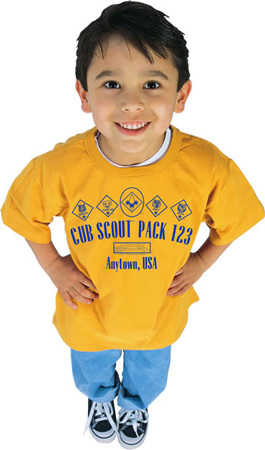 The Cub Scout logo is only 5/8″ per side and it looks great! You can clearly see all the parts and read the tiny >1/8″ text! Intricate Laser borders are no problem. We can do just about anything. Donut holes can sometimes cost extra, but we can do them! 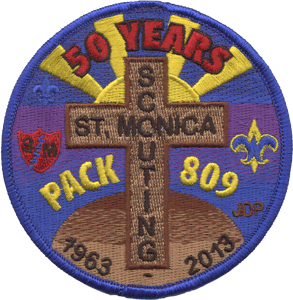 We suggest 3.5″ patches for most designs because it allows the details to really shine. 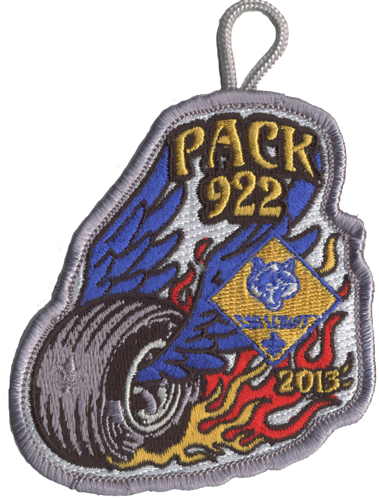 We can make 90% of designs work as a 3″ patch to reduce the cost. 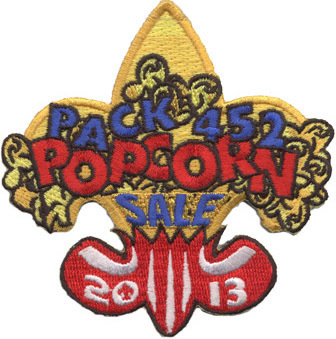 Patches are very affordable and we include many options that other vendors charge for! Metallic/neon threads are additional and quoted separately. Quote does not include Florida state sales tax which is additional, varies by county, and applies to any order shipped to Florida. Size is calculated as (height + width) ÷ 2, rounded up to the next price break. For example, a 3.25″ by 4″ uses the 4″ patch price. 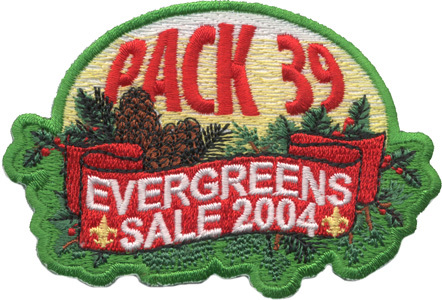 Minimum order just 50 patches. +25% for light coverage or highlights Each order individually quoted based on coverage. Questions or Ready to Order? 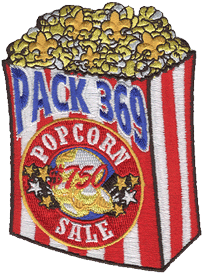 Call today to speak to a patch expert! How much more would you pay for good design? The good news is we don’t charge a single penny extra for revisions to your artwork. You also won’t be forced to consult multiple spreadsheets or call a salesperson to find out the price. You can get a price quote right now on this page. We know every penny matters so we give away all the patch features that other companies nickel and dime you for like 100% coverage, fully merrowed edge, and plastic backing for sturdiness. And we don’t skimp with colors either! 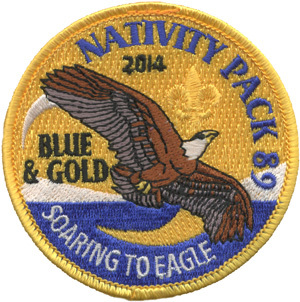 Your patches will be embroidered in as many as nine beautiful colors at no extra charge. You’ll find out how easy it can be to order patches and if you’ve ever ordered from someone else before, it will be a pretty refreshing experience. 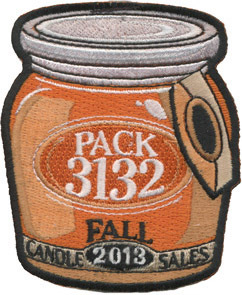 Check out samples of our work so you can see how great your patches will look! the week of June 3rd, 2019. Turnaround is 4 weeks for customized stock designs. Fully custom is 4-5 weeks. Transit time is already included! Artwork approval times are also included, but can delay arrival. If you want extra time to work with your artist, order a few days earlier. Optional pre-production sample sometimes add 1 week to the above time. 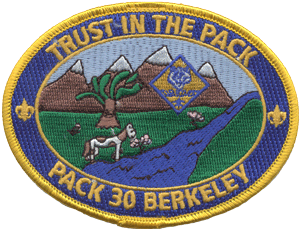 Most patches are sewn by hand. For a 3″ patch, 10 stitches will work. 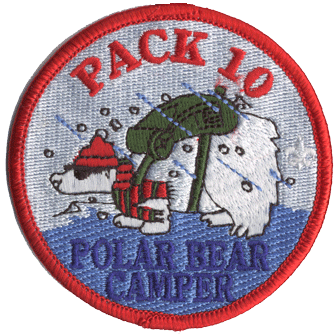 If you want the patch to never come off, a stick every 1/4″ is the best. 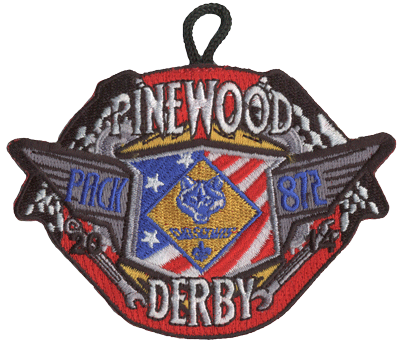 If you don’t want to sew your patches, we suggest Badge Magic. An iron and scissors are all you need. You always approve the patch artwork before we produce your order! Your artwork is posted to a web page for you to view and approve. You’ll be able to share that web page with members of your unit or committee. Option to approve a pre-production sample! 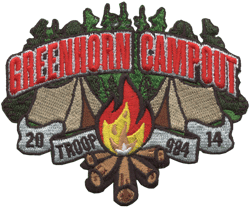 You also have the option to approve a pre-production sample of your patch for NO EXTRA CHARGE! Please note, choosing to approve a pre-production proof can add one to two (1-2) weeks to your turnaround time. 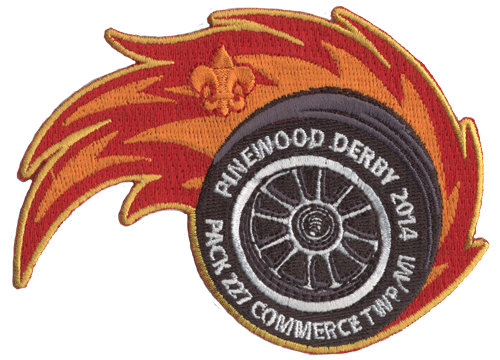 We can customize any of our stock designs with your Pack and event information. Custom designs take about 5-6 weeks. 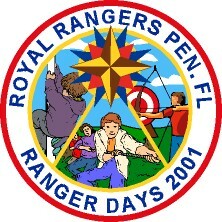 See a BSA logo where you prefer a Cub Scout Logo, no problem! Stock designs are fully customizable! Our Stock designs are only a starting point. Challenge us! 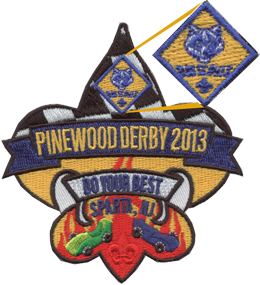 Many Packs get custom patches for events like Pinewood Derby, Space Derby and Raingutter Regatta. 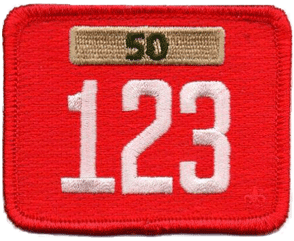 Looking for a single unit numeral patch for your cub’s uniform? We can help. We have Custom Unit Numerals anywhere from two to four numbers. Taking a special trip or campout? 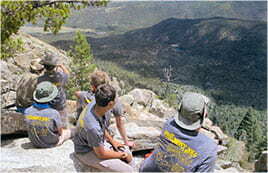 That event is probably the best, if not the first, campout or trip your cub scouts have taken. 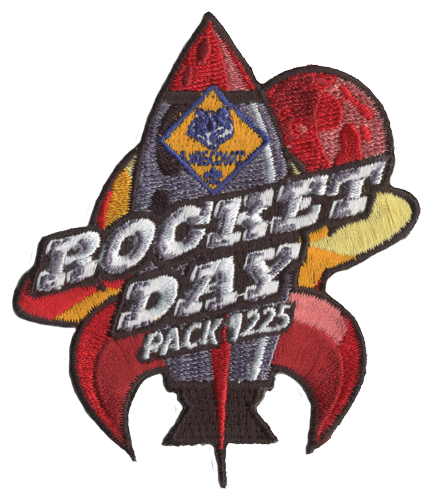 Make it special with a custom patch themed to the event and destination. Don’t see your destination listed, we can do a totally custom patch at no extra charge! 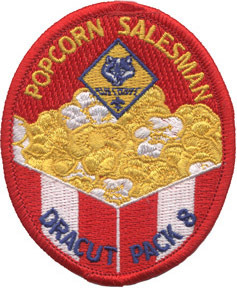 Patches that recognize the extra efforts a scout puts into fundraising are also popular, such as candle, popcorn, wreath, and trail mix sales. This may be the first time a boy has ever raised money, make that effort special. Blue and Gold extravaganzas are the highlight of the year. 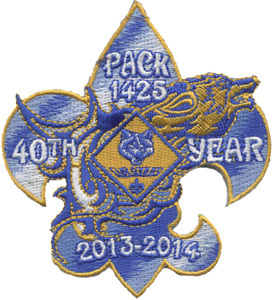 Hand every scout a custom pack patch to celebrate the accomplishments of the pack and the scouts! Looking for fully custom patches? We will create a design from your art or even just an idea you have and transform it into an amazing custom pack patch. There is no extra charge either! 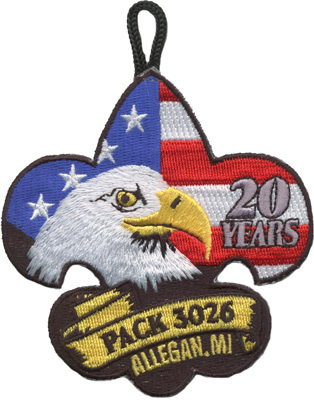 Fully custom patches may add a week or two to turnaround. 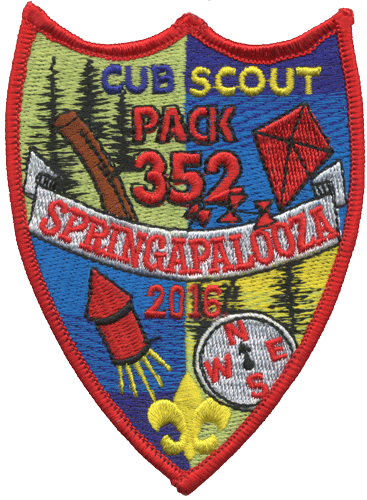 Have a design contest and we can make that cub scout artist’s patch a reality. We can be inspired by the design or make it as close to the original sketch. You won’t need to try to draw a fleur-de-lis after you download our standard patch shape templates. 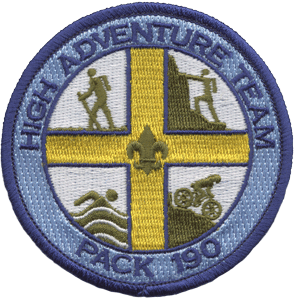 The first definitive scout patch shape template e-book. 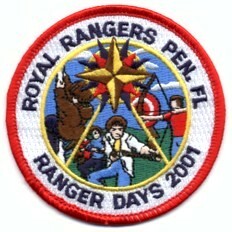 Great for patch contests or for sketching your own ideas. All patch orders are automatically shaped to fit these standard shape templates. The color swatches shown on our web site represent our best effort to show you what color your order is going to be when you receive it. We wish we could make every computer monitor display colors accurately, but the technology just isn’t quite there yet. Until then, we are thread color experts so you can always rely on us to help pick out the best matches for your artwork. Please note that metallic and neon threads cost more. If you want to add one of these attention grabbing colors to your order, we’re going to individually quote the pricing for that color based on coverage in your particular design. Just give us a call and we’ll be glad to answer any questions you have. 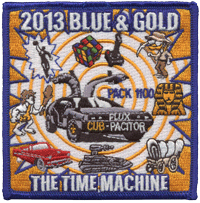 ClassB has been making patches for over 30 years! 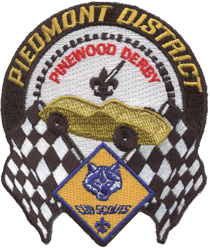 Just another reason we are the best choice to make Your Cub Scout Pack’s custom patches!